Make a donation to Saving Miss America today. Film Independent’s Fiscal Sponsorship program opens the door to nonprofit funding for independent filmmakers and media artists. Donate today and help bring Saving Miss America to life. Nearly 100 years after her debut in pop-culture, Miss America is having an identity crisis in the wake of the “Me Too” movement. For the first time in the history of the Miss America pageant, a former Miss America, takes her seat at the table, as chair of the organization. This comes after unprecedented action from 49 former Miss Americas, who petitioned for the immediate resignation of their entire executive board in late 2017 after leaked emails to the Huffington post revealed years of toxic behavior. In an effort to bring the program into modern relevance, 2018 introduced drastic changes to the program, including the official retirement of the swimsuit portion of the competition. Make a donation to Saving Miss America. Mandi’s film background is primarily in production management and line producing. She joined the Director’s Guild of America in 2016 as a UPM. Her focus, when not crewing for other companies, is to develop and produce her own content with family. She and the Matarrese Brothers have been making both short-form and feature length content together since 2011. Mandi’s directorial debut came with her short film, Old Fashioned, which premiered at the Alameda International film festival and screened with Hollyshorts Monthly Screening Series. Mandi has also been involved with the Miss America Organization for over 20 years as a volunteer and former titleholder. She began developing SAVING MISS AMERICA in December 2017, when the email scandal involving the Miss America Executive Board hit mainstream media. Mandi was awarded the Lisa Runnels-Shelton Emerging Artist Award at the 2018 Alameda International Festival for her development work on the film. The Matarrese Brothers are twin filmmakers from the San Francisco Bay Area. After spending twelve years working in the lighting department on various films and television shows they have started making their own films. They met Mandi Reno on a film 9 years ago and have been working together ever since. The brothers passion lies in finding stories about ordinary people in extraordinary circumstances. 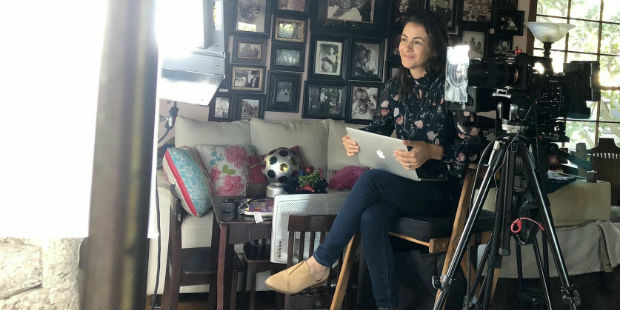 After beginning her career working in feature development, she followed her passion for documentaries and never looked back. Her first feature-length film, Landfill Harmonic, premiered at SXSW and played at over 150 festivals worldwide, including TIFF, AFI Fest, IDFA, Sheffield, and was later distributed by HBO. Jennifer has since joined teams working on feature and short films across a variety of subjects ranging from climate change and the deforestation in Nicaragua, LGBTQ and women’s rights, to board gaming culture in Europe around the world. Jennifer spoke on the Documentary Filmmaking panel at Comic-Con 2018 and guest lectures at the Studio School on documentaries. Her team recently took home the IDA Award for Best Short Form Series for their series that created 52 films in 2 years. Following her love of a great story, she has a passion for social impact projects and loves the challenge of creating significant change through storytelling. A 20-year veteran of the media industry, Art is passionate about the emerging opportunities in independent filmmaking. As an editor and a p.g.a. producer, Art blends his mastery of production and post into one seamless experience. Art is a husband and the father of two and spends his free time with his family discovering the recreational treasures of California and the West.